I happen to be in Aceh for the local elections. These are interesting times, with rivalries between former comrades in the para-political movement formerly known as GAM hotting up. It’s a sensitive topic in a still-fragile part of this increasingly centrifugal nation; I’d say a lot more, but I have promised the Indonesian intelligence services that I won’t report on the ins and outs of local politics. 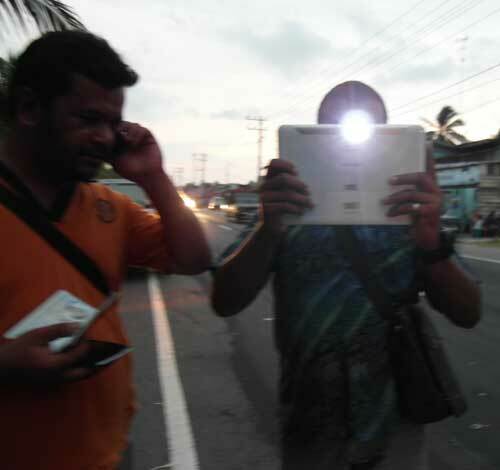 Heri, an Intel agent in north Aceh, takes my photo on his iPad while his boss checks my papers. 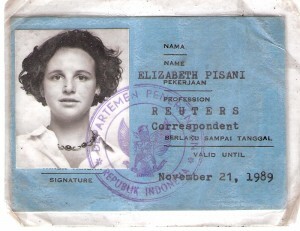 True to my word, I’m going to write instead about Aceh’s creativity with power tools. A regular household drill can be used to make one of the province’s breakfast specialities — whipped raw egg with coffee, as well as to whip up support at campaign rallies.